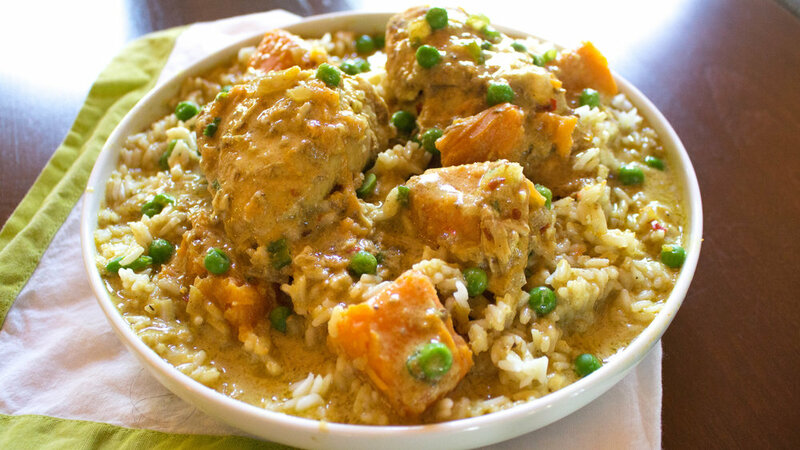 Chicken Curry w/ Sweet Potatoes and Jasmine Rice — Happy Food Co.
CUT chicken thighs into quarters with knife on cutting board. COAT chicken thighs evenly with onion powder, HALF of curry powder, HALF of garlic, and a generous amount of salt and pepper. Set aside. EMPTY olive oil into a medium pot over high heat. 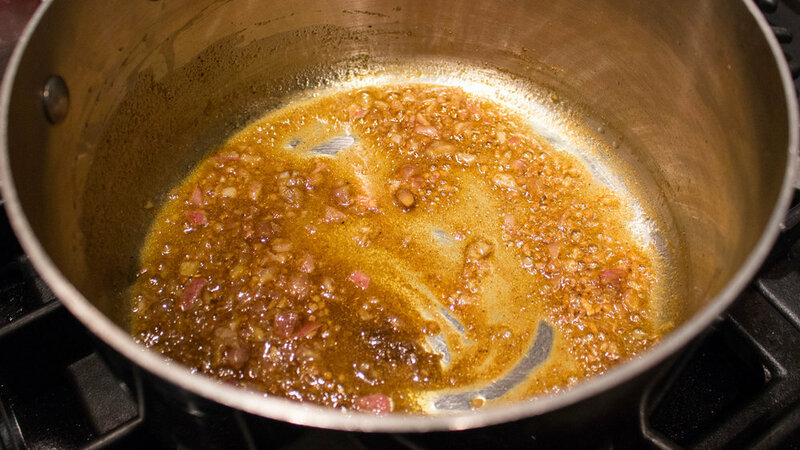 ADD shallots, remaining garlic, and remaining curry powder to pot. Stir until fragrant. ADD red onion, and lemongrass ginger sauce to pot. STIR to combine and reduce heat to medium. ADD chicken to pot and cook for 10 minutes. 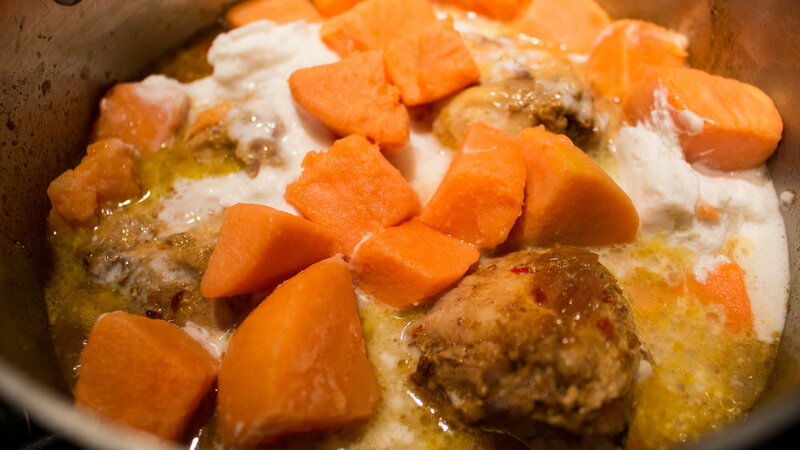 TURN chicken over and add sweet potatoes and coconut milk. Cover pot with lid and reduce heat to medium-low. Cook for 15 more minutes. BOIL 1 3/4 cup water in a small pot. ADD jasmine rice and turn heat to medium. COVER with lid and cook until tender and liquid is absorbed, about 10 minutes. COMBINE lime juice crystals with 1 tablespoon of water in a small bowl. Stir until dissolved. FINISH curry with lime juice and sweet peas. 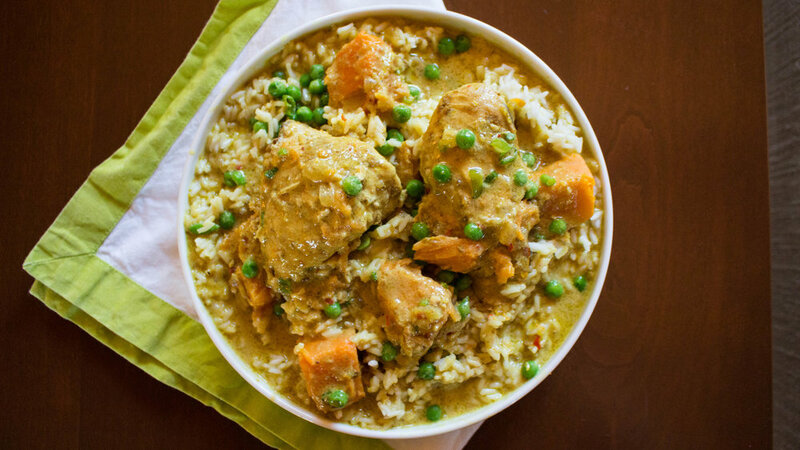 SERVE curry over jasmine rice and enjoy! A blend of Chardonnay, Riesling and Pinot Grigio for a medium-bodied white wine with vibrant layers of flavor, including notes of peach and apricot.